In this internationally bestselling debut, a heartbroken woman embarks on a grand exploration of life and love as a glassblower in the city of her ancestors, Venice, and learns that the past may not be as clear as blown glass. Marina Fiorato is half-Venetian and a history graduate of Oxford University and the University of Venice, where she specialized in the study of Shakespeare's plays as an historical source. She has worked as an illustrator, an actress, and a film reviewer, and designed tour visuals for rock bands including U2 and the Rolling Stones. Her historical fiction includes "The Daughter of Siena," and "The Botticelli Secret." 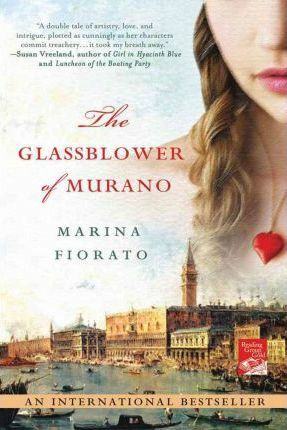 Her debut novel, "The Glassblower of Murano," was an international bestseller. She was married on the Grand Canal in Venice, and now lives in London with her family.